Writing from the Peak: Do You Love Me? 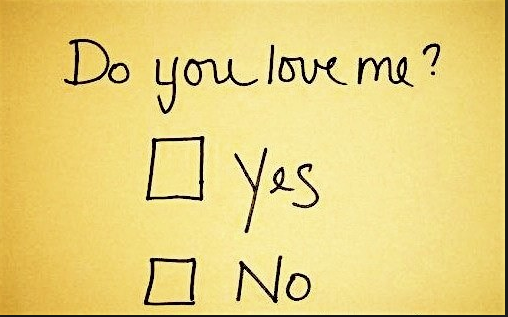 Do You Really Love Me? I really want you to think about the question I wanna ask you. So. Just. Stop. Focus on the screen and turn off that radio, click off that second monitor, ignore the damn dog for a minute, let your children go screaming off into the streets because I need your full attention. This is the question that was asked at my critique group tonight and no one answered it except for me. Do you know why? Because this question is brutal. Okay. Here is the question. What kind of validation are you looking for through your writing? I know. See why I wanted you to cut loose those distractions? I’ll repeat the question for those with a blown mind. My answer? None. You can’t validate me through my writing because it can never, ever be enough. Only if I had the fame and fortunes of a J.K. Rowling or a Stephanie Meyer could I even begin to come close to the validation I want. I am bottomless when it comes to other people’s attention and their validation. I can never be satisfied. It’s a game I can’t win. You say you like something I wrote, and I don’t believe you, or the praise isn’t right, or it doesn’t focus on exactly what I want to hear. My ranking in Amazon goes up, but it never goes up far enough. I’m never #1 across all of Amazon for weeks on end. It is never enough. I’m not rich and famous. I’m not validated much, and when I am, it’s iffy. It doesn’t mean much. Now, I say all that, but I have to be honest, when I got my glorious Kirkus Review for Long Live the Suicide King, I memorized it. When I had someone legitimately fangirl out over me, yeah, I savored it. When I had my daughters love one of the books I wrote for them and cry at the end, yeah, that was true validation. Yes, those things were nice. But I’m learning not to look for validation because for me, I can’t live off it. When validation comes, however, I DO MY BEST TO CELEBRATE IT (all caps for you and for me), but my appetite for validation is waning. I write because I’ll be dead soon. Soonish. Fifty years or ten minutes, we don’t know. I’ll be dead soon and this is exactly what I want to be doing with my life right now. Not to get all Dr. Sigmund Freud on you, but this is my causa sui, my life’s purpose, to write books and to get them published by any means necessary. That is a grand game, a tough game, a vicious game, but it’s a game I’m going to play as best I can, as creatively as I can, and yeah, my chances of winning are slim. But that is what makes it grand. That is what makes it heartbreaking and wonderful and staggering because in this writing game, there are no rules. Let me repeat that. There are no rules. Wonderful, humanizing books right now are not selling while hastily written erotica about dinosaurs are making millions. No one knows anything. If they say they know, they are trying to sell you something. Buy it. Why not? Where else do you want your money to go? Buy magic beans. You can always mix them later with some rice for a complete protein. For me, right now, validation isn’t the point of this. It’s to play the game, to write the books I need to write, and to enjoy as much of it as I can. And in reality, there is a lot to enjoy. About the Author: Aaron Michael Ritchey is the author of Long Live the Suicide King, a finalist in the Reader’s Favorite contest. Kirkus Reviews calls the story “a compelling tale of teenage depression handled with humor and sensitivity.” His debut novel, The Never Prayer, was also a finalist in the Colorado Gold contest. 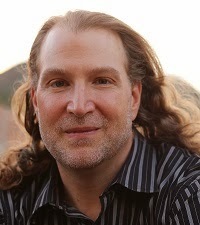 His forthcoming works include a new young adult novel from Staccato Publishing and a six book sci-fi/western series from Kevin J. Anderson’s WordFire Press. In shorter fiction, his G.I. Joe inspired novella was an Amazon bestseller in Kindle Worlds and his story, “The Dirges of Percival Lewand” was nominated for a Hugo. He lives in Colorado with his wife and two goddesses posing as his daughters. Now that's a post that makes me stop and think, Aaron. From whom do I seek validation? A sweet email from a reader from time to time might be nice, but mostly it's my own personal satisfaction I seek....and maybe a tiny extension of my life as long as my books remain on someone's shelf. Love this line! "...maybe a tiny extension of my life as long as my books remain on someone's shelf." First time here. Cool blog. Wow. Great point. You're right that it can't ever be enough because once we get a little bit of validation, even the validation that we want, we'll always end up wanting more and more.